According to Reuters, PGNiG – the Polish, state-run gas company – has received several offers for spot deliveries of LNG cargoes, which would be delivered in June 2016. This follows reports in early May 2016, which claimed that the company was considering the purchase of five LNG cargoes as spot contracts in June and July 2016. In a statement, PGNiG reportedly said that it is now analysing the offers, and that the offers for July deliveries will be collected by 17 June 2017. In addition to this, Reuters claims that PGNiG stated that it will take both the price and other conditions offered by the various suppliers into account. 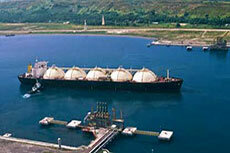 The cargoes will be delivered to the LNG terminal in Swinoujscie, Poland. According to Reuters, Poland’s PGNiG is considering the possibility of purchasing five LNG cargoes as spot contracts in June and July 2016. 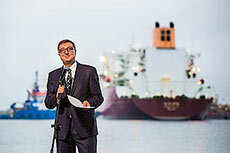 Reuters reports that a US$794 million Polish LNG terminal, which is located by the Baltic sea, is expected to have its first commercial shipments delivered in July 2016. Polskie LNG has announced that the Swinoujscie terminal has received its first LNG cargo from Qatargas. 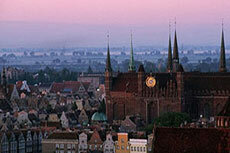 Polskie LNG SA has been receiving bids and arranged finance for Poland’s first LNG terminal to diversify gas supply.